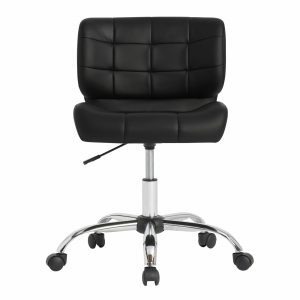 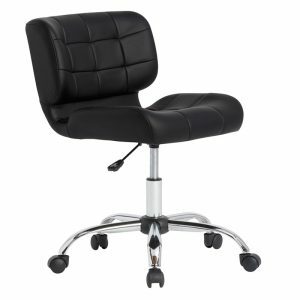 With the Futura Tower, there's a place for everything! 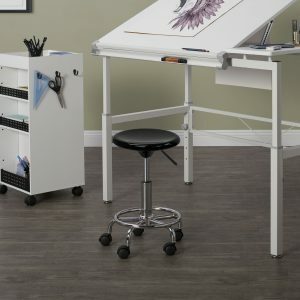 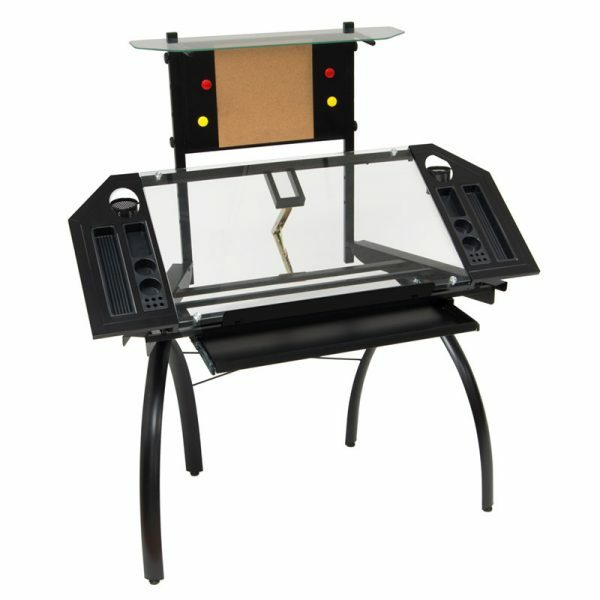 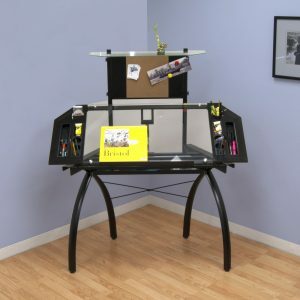 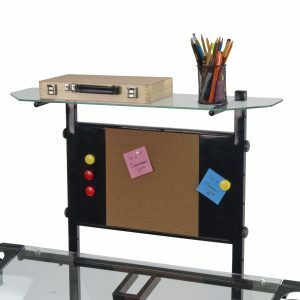 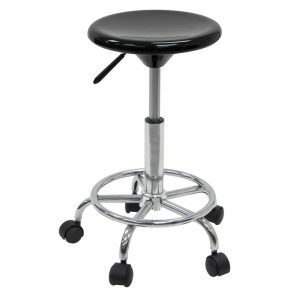 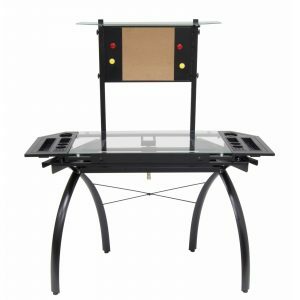 Office and arts supplies, notes, photos – the Futura Tower stores it all over a 33"W x 21"D tempered safety-glass work surface. 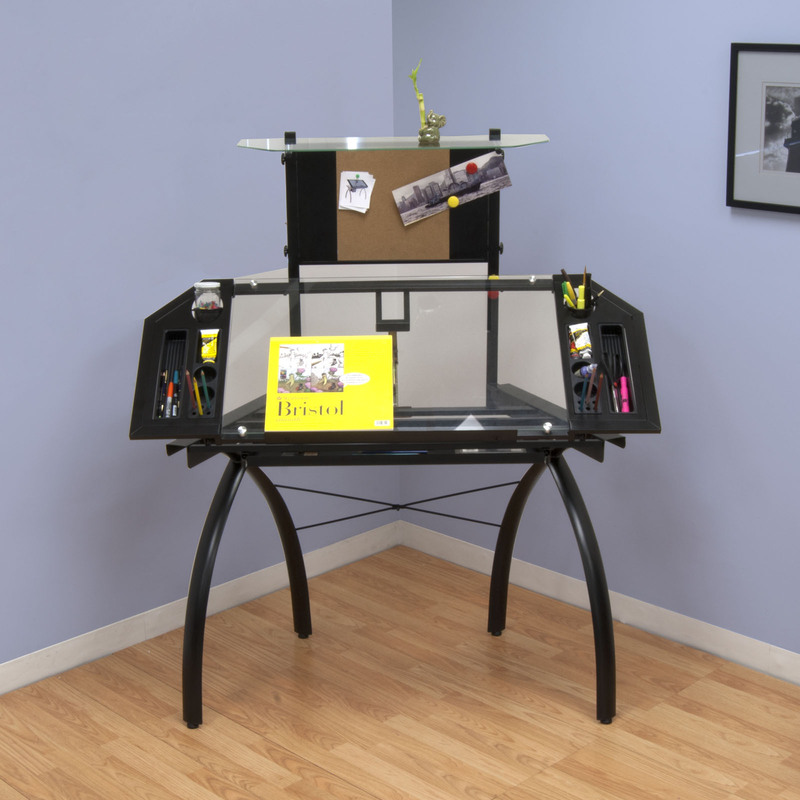 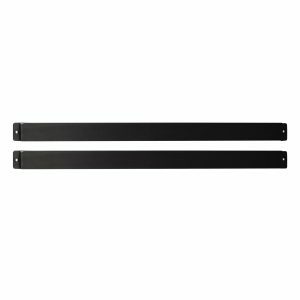 The desk features a 9" x 24" shelf and an extra large 24"W x 10"D slide-out drawer for storage. 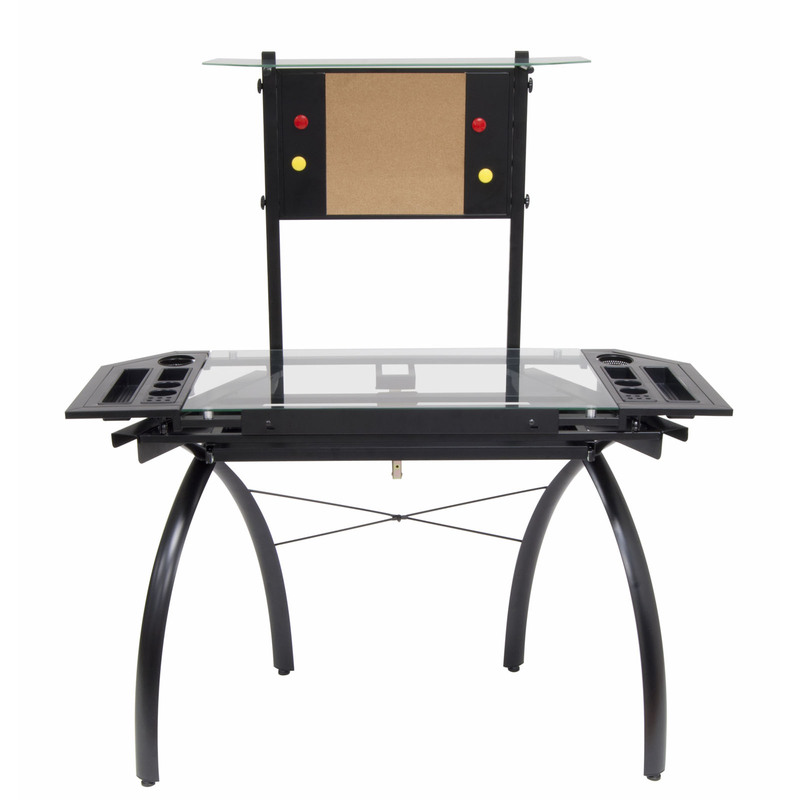 The tabletop adjusts to 6 different angles from flat to 40 degrees. Four removable art trays, two cup holders and a combo magnetic/cork board add to its versatility. 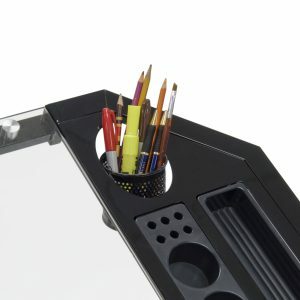 Slide Up Pencil Ledge: 24"
Tower Shelf for Storage; 9" x 24"